At the start you can barely hear the drums but as the track gets into gear they are more and more discernible until, suddenly, at about the 1.30 mark, they come crashing in with all the force of an avalanche. It could only be one drummer and it is. No wonder Pete was pissed off. 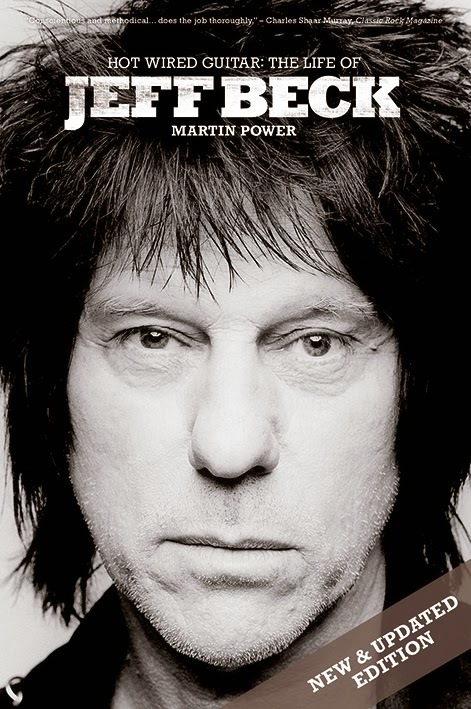 This extract from Hot Wired Guitar: The Life of Jeff Beck, by Martin Power, published by Omnibus in 2011, tells of the story of ‘Beck’s Bolero’, the B-side of Beck’s uncharacteristically poppish hit ‘Hi Ho Silver Lining’ and a highlight of his debut album Truth. It is one of the great curiosities of sixties rock, not least because the group that perform on the track might well have been the first ever British supergroup – Beck, Jimmy Page, John Paul Jones, Nicky Hopkins and… Keith Moon. An updated paperback edition of Hot Wired Guitar is scheduled for early next year. If ‘Hi Ho Silver Lining’ managed the job of making Jeff Beck hugely irritated and a pop star all at once, then ‘Beck’s Bolero’ brought about equal feelings of huge pride and lost opportunity. The instrumental would also spark a long-running and still-unresolved debate about who wrote and produced it, though no-one is in any doubt as to the musicians who recorded it. ‘... Bolero’ was actually cut on May 16-17, 1966 at London’s IBC Studios (nearly eight months before ‘... Silver Lining’) by a one-time only cast of players that might have caused the combined might of The Jimi Hendrix Experience and Cream to nervously study their ranks before running for the hills. On drums was The Who’s resident madman Keith Moon, whose talent for lunacy was almost as impressive as his skills with the sticks. Filling in for Moon’s band mate, John Entwistle, who originally agreed to play bass on the session but pulled out at the last minute, was recurring session ace John Paul Jones. Adding some classically-influenced sparkle to proceedings was keyboard player Nicky Hopkins, a child prodigy/Royal Academy of Music graduate who had carved a fine career as a studio musician, working with The Beatles, the Stones and The Who. And completing the line-up were Jeff Beck and Jimmy Page, then only a month away from attending the Oxford May Ball where events would change the terms of their relationship from the best of friends to duelling gun slingers. The ‘... Bolero’ session was conceived as part of Simon Napier-Bell’s plan for The Yardbirds to engage with various side projects in an effort to ease mounting tensions within the group, and part of the same nest of recordings that produced Keith Relf’s ‘Mr. Zero’ . In advance of the booking at IBC, Beck had visited Page to work up some suitable material for potential solo release. The rhythm in question was inspired by Bolero, a classical piece written in 1928 by the composer Maurice Ravel as an accompaniment to Russian choreographer Ida Rubenstein’s short ballet of the same name. Built on a persistent, repeating motif supported by a snare drum, Ravel’s genius was in recreating the Spanish ‘Bolero’ dance pattern for full orchestra, using flutes, horns and oboes to add melody to the steady yet insistent tempo – thus matching the steps of the dancers as they built toward a slow-burning crescendo on the stage. In his treatment of Ravel’s original idea, Jimmy Page opened up Ravel’s original two chord progression and transposed it from the key of C to A, thus using the 12-string guitar’s rich chiming quality to emulate the distinct, orchestral ‘Bolero’ sound. That said, who actually wrote the haunting melody that sits on top of the chords remains a sticky point for both Beck and Page. Beyond such disputes over authorship, ‘Beck’s Bolero’ has also taken on an important status in the annals of rock history because of the musicians involved in its recording, their unique collaboration on the track pointing the way towards what might have been rock’s first true supergroup. Then unhappy that The Who’s guitarist and principal songwriter Pete Townshend was receiving the lion’s share of cash in the band, both Keith Moon and John Entwistle had let it be known that they might be interested taking their talents elsewhere. Picking up on the rumour, Page and Beck contacted the duo and asked whether they would consider working on some material, with a possible view to even forming a band. Fearing possible reprisals from Townshend and Who manager Kit Lambert if discovered playing away from home, but still interested in what might come out of the session, Moon asked that the recording be conducted in total secrecy. “Keith told us he could only give us about three hours before his roadies would start looking for him,” said Jeff. Evidently such clandestine activity proved too much in the end for John Entwistle who ending up ducking out, though Keith Moon’s nerve did hold – even if he went to extraordinary lengths to disguise his involvement. “Moon got out of the cab that morning wearing dark glasses and a bloody Cossack hat,” laughed Beck. Moon’s contribution to ‘Beck’s Bolero’, was well worth the daftness, his unique, propulsive drumming style adding much to the track’s mid-section rave up. “It was my idea to cut off in the middle, Yardbirds-style,” said Jeff. “Keith upped the tempo and gave it an extra kick. It’s like a bit of The Who, a bit of The Yardbirds and a bit of me.” In fact, such was Moon’s enthusiasm for Beck’s idea, he managed to smash a $250 microphone with his drumstick as the band doubled the pace, thus rendering the sound of his kit inaudible but for the cymbals. “You can actually hear him screaming as he does it,” Beck confirmed to Guitarist. Yet another hotly contested issue concerning ‘Beck’s Bolero’ is who actually produced the track, with three candidates eager to claim it as their very own. “Well, the track was done and then the producer, Simon Napier-Bell just disappeared,” Jimmy Page told Guitar Player. “He was never seen again. He simply didn’t come back. [Simon] just sort of left me and Jeff to it. Jeff was playing and I was [at the recording console].” According to Napier-Bell, his input was far more considerable. “I produced it,” he said. “But I was naive about ‘Bolero’. When Mickie Most took Jeff, he asked if there was there any productions knocking around and I said ‘Yes, we’ve got ‘... Bolero’. So it eventually came out as a Mickie Most production, which has always pissed me off because it was such a great record. My fault, no-one else’s.” Whether Most refined, enhanced or in all probability, did absolutely nothing to the tapes he received is ultimately irrelevant. ‘... Bolero’ bears his name alone as ‘Producer’. Jimmy Page didn’t capture Moon’s joke on tape. But he did remember it. * Legend has it that future Deep Purple guitarist Ritchie Blackmore was also involved in some capacity at the sessions, though this has never been confirmed. I travelled around America so much between 1973 and 1976 that if air miles were collectable in those days I’d never have to buy a plane ticket ever again. Unfortunately they didn’t come in until 1988. One of the oddest airlines was Braniff which operated a sort of loop service where the plane flew around all these Midwestern cities and you just got on and off when you wanted, a bit like the Circle Line on the London tube. In July 1974 I got off at Pittsburgh to see Eric Clapton and travelled with him for three nights, though he declined to be interviewed. I referred to this little adventure in another post about EC but this is the longer version! Aside from how incredibly pissed Eric got before and after concerts, the other thing I remember about this trip (and which I mentioned in the other post) was that halfway through the show in Pittsburgh Pattie Harrison arrived and was ushered up on to the side of the stage by Robert Stigwood, Eric’s manager. I knew who she was but couldn’t for the life of me figure out why she was here, though I ought to have guessed from the affectionate glances between her and the chap in the middle with the guitar around his neck. Her liaison with Eric was yet to go public, of course, and had I been the kind of journalist now condemned by the Leveson Inquiry I’d have had a nice little scoop on my hands for the red tops. As it was I kept schtum, which is why I was welcomed by the entourage. My report, lacking any references to la belle Pattie, is below. Extra-marital relationships weren’t the stuff of the music press in those days. On this tour he looked a bit like this picture, the cover of a bootleg I found on the internet. PITTSBURGH, PA. – The tint on the TV screen gave the newscaster a peculiarly reddish face, almost as if he was genuinely excited about the news item he was reading. The Three Rivers Stadium at Pittsburgh is normally used by the Pittsburgh Pirates, the local baseball team. The Pirates’ fortunes have waned of late, lost matches and subsequent lost revenue, so this year they opened their massive arena to rock to boost the team’s income. As usual, The Band put in a flawless performance, Rick Danko’s bass playing coming over tremendously vibrant in the open air. It’s difficult to see them from over 100 yards distance (someone thoughtfully provided Eric with binoculars), but the music spills forth with that effortless Band precision. 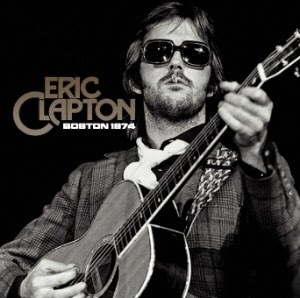 Then Clapton walks to the stage, acoustic in hand, followed by his group and preceded by Legs Larry Smith, the English country joker hired to act as “compere”, specifically to play down the superstar angle that Eric would like to shake off. That’s one of the reasons why Yvonne Elliman has been recruited to his band, her main contribution to the set coming early on, during the only pre-rehearsed segment, the acoustic songs. Eric opens the show with ‘Smile’, the old standard written, oddly enough, by Charlie Chaplin that comes as something as a surprise on first hearing but seems more and more apt after continued hearings. It sends out a message of good vibes from the start – ”Smile, when your heart is achin’” – and quietens down an audience eager for hi-power rock. ‘Smile’ moves into ‘Let It Grow’, another easy going acoustic song with Eric and Yvonne singing harmoniously together and George Terry turning in filler licks that gain Eric approval between verses. Slotted hurriedly in at Pittsburgh was a spontaneous ‘Happy Birthday’ for Robbie Robertson who was standing at the side of the stage. Its significance was lost on the crowd. But rock was what the 42,000 had come to hear, even though their appreciation was shown in odd ways. During ‘Blues Power’ Eric was hit hard on the side of the face by a well-aimed missile. It turned out to be a New Testament, wrapped in a small chain with a message from the local Jesus freaks. Not knowing what had hit him, Eric fumed for a bar, picked up the tune again and bellowed his disapproval down the microphone. Much of the set is derived from Eric’s new album 461 Ocean Boulevard, with ‘Motherless Children’ and ‘Mainline Florida’ offering ample opportunities for the band to stretch out. The set ends with ‘Little Queenie’ and a re-appearance of Legs Larry Smith who smashes a plastic ukulele in the manner of Pete Townshend, hurling the debris out into the crowd. By this time they are crammed tight against the raised, temporary stage. For an encore, Eric steams into ‘Crossroads’ and produces some of the most exciting music of the night. The following evening’s concert in Buffalo, a half hour flight away, wasn’t up to the same standard. Again The Band were on the bill and again over 40,000 fans jammed a baseball stadium. Clapton’s immediate impact was taken away when he chose to go up and jam with The Band on their last number, ‘Stage Fright’, and the result was far from spectacular. When it came to his own set, Eric surprised everyone – including his band – by opening with an acoustic rendering of ‘Crossroads’ before moving into the rehearsed schedule. The highpoint of the set was during ‘Have You Ever Loved A Woman’ when Freddie King (flown in specially) arrived on stage to jam. King was superb and a rather lazy Eric allowed him to steal the show instead of competing in a guitar duel. Sunday’s concert was at the Roosevelt Stadium, just outside New York and 30,000 turned up. The Roosevelt show was a vast improvement on the previous evening, with Eric in a more serious frame of mind, running through the same set as before. Again, Freddie King came on for ‘Have You Ever Loved A Woman’, but this time Eric matched him lick for lick in one of the most impressive blues duets I’ve ever seen. At one stage third guitarist George Terry gave up in a resigned fashion, taking off his guitar and retiring backstage to allow the masters to continue uninterrupted. 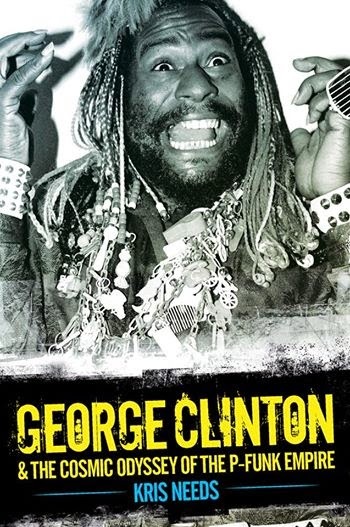 An extract from George Clinton & The Cosmic Odyssey Of The P-Funk Empire by Kris Needs. Maggot Brain sported apocalyptic sleeve notes from the Process Church Of The Final Judgement religious sect, whose preachings would grace the next few P-Funk albums. George was an avid reader of books on UFOs and mysteries like the Bermuda Triangle. Many of these were passed on to him by Ron Scribner (who George remembers attending Funkadelic gigs), who liked to wear a long white robe and introduced him to the cult. “They wore robes and big crosses and stuff. Being white, they looked really strange in all the places we went.” At first, the more spaced out in attendance thought that Jesus had arrived and started apologising profusely for their sins. If that sounds quite harmless, the cult was accused of being a ‘black-caped, black-garbed, death worshipping church’ made up of the ‘mindless snuffed’, who believed they were visionaries warning of the coming apocalypse. It was a cult of contradictions, black- clad members sporting bling consisting of conflicting silver crosses and the Goat of Mendes as they worshipped both Christ and Satan (which prompted misunderstandings that they were a Satanic cult). They believed Satan would reconcile with Christ and the pair would come together to judge humanity at the end of the world, the former to execute Christ’s judgement. In their initial manifesto, the Process Church recognised Jehovah, Lucifer and Satan as the three great gods of the universe. Jehovah was the only recognised God, bringing retribution, demanding discipline, dedication and ruthlessness in duty, purity and self-denial (!). Lucifer urged followers to enjoy life, value success, be kind and loving and live in peace with one another. The Church believed that man’s self-centred qualities had brought Lucifer into disrepute, wrongly identified with Satan, who dealt with both the highest spiritual peaks and lowest levels of human behaviour, such as violence and gross over-indulgence. In between man and the three great Gods swarmed an entire hierarchy of lesser gods, super beings, angels, demons, watchers and guides. The Process believed that all these patterns existed within everyone, but their main doctrine was the unity between God and Satan, opposites who, when united, would bring together Jehovah and Lucifer. In other words, these mysterious writings were just another element for George to play with, while also elevating the group further above normal black outfits. Believe it or not, some seriously believed for years that the Church was an invention because of the Process in the name – just George referencing his day job at the barbershop? – until closer study revealed it to be something that might have been considered a bit risky if he had taken it more seriously. George admits that the huge quantities of acid being ingested at the time meant that they were goofing a lot of the time, diffusing any hint at being pretentious with surreal mirth. But what George and the gang found hysterically funny drove devout P-Funkers across the globe into research, speculation and even conspiracy theories. Shortly after Maggot Brain was released, the heroin George protested about during its recording overtook acid and cocaine as drug of choice for the younger band members, as paranoia and semi-comatose inertia replaced their initial exuberance. Tawl Ross departed in horrific circumstances in 1971 after participating over-zealously in a group drug-guzzling game involving Yellow Sunshine acid and pure methedrine. Billy recounted to Rob Bowman how the band used to play these dare games with drugs. That night in London, Ontario, he recalls George, Grady and Fuzzy taking about three tabs of acid each, while Tawl took at least six. While Fuzzy and Grady spat theirs out Tawl snorted line after line of methedrine. An extreme casualty of the P-Funk lifestyle, Tawl was not to be heard of again until 1995. Before I was appointed Melody Maker’s US correspondent in 1973, music papers in the UK relied almost entirely on US based American writers to feed stories back to GB or simply believed what they were told by returning rock bands who, it must be said, had a tendency to exaggerate their success. I was able to put a stop to that, at least to a certain degree, and I was also in a position to observe my pals Slade as they tried their level best to emulate their UK success across the Atlantic. In the end it wasn’t to be, of course, but one of the odd things about Slade’s less than triumphant career in America was that in St Louis, Missouri – a city in the news right now for all the wrong reasons – they were massively popular while in most others they never progressed much beyond second on the bill status. In February of 1974 I went to see them in St Louis where their star was definitely in the ascendant and where, in a year or two, they would headline an arena show. I remember we stayed in a circular hotel, a tower that overlooked the St Louis Arch, and after the shows heaps of fans, male and female, somehow made it back to party with Slade in the bar. I ended up with a ‘temporary female companion’, name of Debbie, who later that year accompanied me on a trip to New Orleans, my only ever visit to this fabulous city. Here’s my report on Slade’s visit to St Louis. The wide Missouri River flowed beneath the hotel window and a few paddle steamers, now tourist traps or floating restaurants, were securely tied to the banks. Noddy Holder looked out over the flattish landscape and seemed relieved that the show tonight, in the St. Louis Ambassador Theatre, was the last on their current US tour. They’re on the up and up in the States, even though they’re not in the big league yet. They’re comfortably filling the smaller halls (though even these are big by British standards), they’re topping the bill and getting encores and they’re beginning to get the audience participation thing going like they do in England. They have to work a little harder for it to happen, though, but the message is coming across. But – and it is still a big but – they haven’t exactly gone a bomb recordwise. They’ve sold very few albums or singles here despite rave reviews in the majority of US rock journals, a state of affairs that seems to mystify manager Chas Chandler, a man who generally knows all the answers. The St. Louis Ambassador holds around 3,000 and is ancient by any standards. Duke Williams & The Extremes, a Capricorn band, are warming the audience up with some tight, but rather anonymous, rock and roll. They’re very American, while Slade are very English, and the differences in presentation stand out like a sore thumb. Slade were announced, greeted warmly and a roar went up as Noddy slashed across the opening chords of ‘Take Me Bak ’Ome’. Two lines later all the power backstage went off. No lights, no amps, no nothing. A 6,000 amp mains generator in St Louis had blown, cutting out, amongst other things, the backstage power at the Ambassador. Fifteen minutes went by and there was no sign of any electricity. Slade joked ruefully amongst themselves in the unlit dressing room and cursed their luck. It had never happened to them before, anytime, anywhere, said Noddy. It was actually one hour and ten minutes before the power came on. The St. Louis audience kept remarkably calm, expressing their indignation by chucking pennies at Don Powell’s drum set. When a penny hit a cymbal the resulting clash was an excuse for an ovation from the restless fans. When Slade re-appeared it really was a triumph over adversity. Though I can’t deny a certain chauvinistic feeling towards this particular band, they followed up the disastrous start with a stomper of a show, ending up with two encores, the second of which was a very dubious rendering of ‘Roll Over Beethoven’, which, despite its complete lack of subtlety, had a deliriously happy St Louis crowd emulating the scenes Slade normally generate in Wolverhampton. The show was pretty much the same as it is in England, though two new numbers were added: the slow ‘Everyday’ from their new album, and their new single ‘Good Time Gals’. I preferred ‘Everyday’, maybe because it was a welcome change in tempo and reached suitably dramatic heights to make the most of Holder’s amazing vocal chords. Curiously, the audience reacted better to ‘Gudbuy To Jane’ than to any others, apart from the two encores. That’s curious because Slade’s singles haven’t showed at all in America. But perhaps what finally sent everyone home happy was a superb bit of spontaneous showmanship from Noddy Holder. Between numbers towards the end of the show a powerful singing voice struck up from somewhere in the audience, almost rivalling Holder himself. Without hesitation Nod invited the owner of the voice to come up on stage to join him. Up he came for a bit of avant-garde bellowing, much to the delight of the crowd. It all ended with hundreds of bags of confetti descending on the group and front row ravers who joined in with the band on ‘Mama Weer All Crazee Now’. It was the last night of the tour and a last night to remember. In case you hadn’t noticed tomorrow night Kate Bush appears on stage for the first time since 1979 in a series of London concerts that are perhaps the most widely anticipated in the history of popular music. 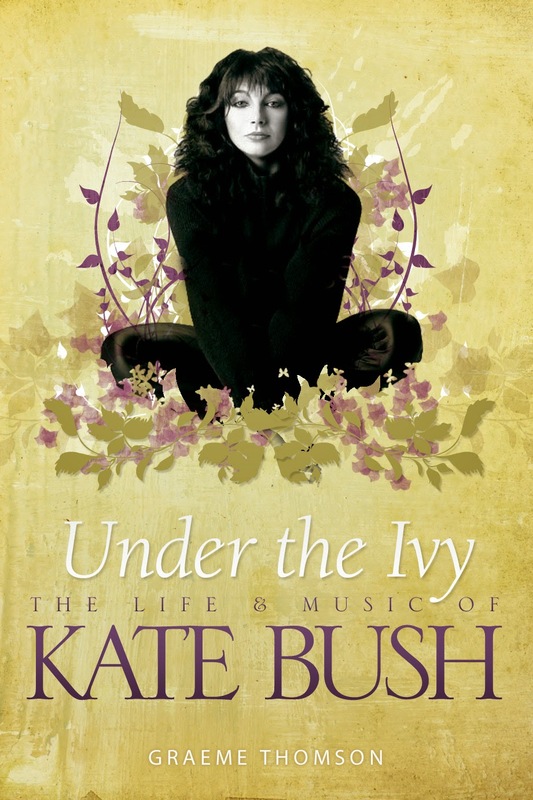 In these closing passages from his superb biography Under The Ivy, Graeme Thomson explains the reasons for her enduring role as a key icon of British culture. In recent years the notion of Kate Bush as a genius has rarely been disputed. In 2006, viewers of BBC 2’s Culture Show voted her seventh in a poll to find the top ten living British icons. 50 Words For Snow certainly proved that she has no need to rest on former glories, but it’s also true that as an icon, as an idea, Bush is in that rare and strange position where what she represents now overshadows the actual music. Her life is in her work, but her work exists beyond her, is greater than her. Her influence certainly reaches far beyond the parameters of pop music, encompassing fashion (designer Greg Myler used her shifting styles as the bedrock of his 2005 Milan fashion show), numerous visual artists, comedians, film-makers and writers; David Mitchell, author of Cloud Atlas, recently wrote passionately about his fandom. In her own specific field, through each of her absences her reach simply seems to grow and grow, across generations and genres. Countless dance acts have sampled or covered her songs, among them Utah Saints, E-Clypse and Blue Pearl, and she has also penetrated urban music. Aside from Prince, Tupac Shakur was a fan, US nu-soul singer Maxwell did unspeakable things to ‘This Woman’s Work’, while OutKast’s Big Boi is a raving devotee who has consistently haggled for a collaboration which has, sadly, yet to emerge. Guitar bands seem equally in her thrall. Among many others, Futureheads had a Top 10 hit in 2005 with ‘Hounds Of Love’, Placebo covered ‘Running Up That Hill’, and the Decemberists have played ‘Wuthering Heights’ in concert many times. Since the emergence of Toyah Wilcox, and later Tori Amos, it has been de rigueur for virtually every young female artist to either cover Bush’s songs, cite her as a heroine or be compared to her. Fiona Apple, Bat For Lashes, Lily Allen, Kathryn Williams, Lady Gaga, Florence + The Machine, MPHO, Charlotte Church, Joanna Newsom, La Roux – the list rolls on and on; in 2010 Little Boots posted a stripped down version of ‘Running Up That Hill’ on YouTube. Some are fine artists, but the similarities with Bush often amount to little more than a smattering of external eccentricities and what is usually defined, rather vaguely and perhaps chauvinistically, as ‘kookiness’. Although Bush has made no attempt to engage with – or apparently even listen to – these acts, she is still regarded as the grande dame of arty outsiders the world over. Yet the people she is often said to have most in common with rarely sound anything like her. But then who does? Before Kate Bush, there was no Kate Bush. She is sui generis. There are only a few comparisons that make sense, and they are all about a certain shared sensibility rather than a look or a sound. Never mind Bjork. How about Roald Dahl, Terry Gilliam, Tim Burton, Philip Pullman, Mark Hollis and perhaps Scott Walker: inimitable individualists who paint vivid pictures and work in the realm of dark imagination, sly humour and deep emotion; who inhabit lands that belong to neither the adult or the child; or rather, belong to both. David Bowie may well be the most useful point of musical comparison. Crucially, like Bush, he has always been unafraid to make himself seem ridiculous for a good cause. But although Bowie is ultimately a more comfortable and accomplished pop star than Bush – with thicker skin, better at finding the art in the artifice and quicker on the draw – he never quite defeated his acute self-awareness; with Bowie there is always a pose, always a façade. His music is a beautiful fabrication. Bush takes us somewhere else, somewhere deeper. She theatrically embodies and exaggerates numerous personality traits, but only in order to get to the heart of what makes us all tick. Despite the dressing up and dancing, there is no trace of affectation in her music. It’s a very inquisitive, giving, quixotic thing which in the end has nothing to do with the teachings of Gurdjieff, or Sufi mysticism, or Peter Pan, or Lindsay Kemp, or the films of Michael Powell, or Jay’s poems. There is no need to join every dot, or explain every reference. That is a game for those who can’t trust their own responses without first looking for an intellectual hook on which to hang it. Kate Bush is all about emotion: the things she uses to get to those emotions aren’t necessarily important. You either hear it and feel it – and trust what you’re hearing and feeling – or you don’t. She is not a pop star, a fact which may only now be becoming truly clear. She just happened for a long time to make what we broadly describe as pop music the vehicle for her creativity. Who is she? “A writer, I suppose.” “That’s what I started doing when I was a little girl,” she said. “That’s what turned me on, that’s the buzz: writing a story.” At her best she is our greatest poet of the senses and the psyche. “With a mind that renders everything sensitive,” she once sang. “What chance do I have here?” She brings to life every twitch, every neuroses, every love, every tingle, every ache, every muscle, every unseen demon, every remembered angel, every recalled taste and smell through her music. At her worst, of course, she can be painfully sincere, naïve, twee, shrill, ridiculous and rather clumsy, but it has proved a price worth paying. Over 10 albums she had tried to resensualise the human experience, to break down the barriers between the heart and the mind, the body and the spirit, the living and the dead, the sea and the sky, winter and summer. The thought often occurs that she gives her fans very little back in return for their endless patience, yet they remain incredibly loyal because on some level they recognise the depth of her music, how much goes into it and how much she reveals of herself. It’s a generous gift from such an otherwise determinedly concealed individual. As Bowie once noted, “It’s not great for a writer to find [themselves as] the centre of attention.” Her intensely private nature is not a fiction, but it has perhaps been misinterpreted. There are many stars who appear more regularly in public than Bush who live considerably more reclusive, fearful lives, and the idea of her eking out a remote, witchy existence is a nonsense which now finally seems to be accepted as such. Away from the spotlight she genuinely seems to enjoy the kind of true stability with her partner and her son that doesn’t require outside validation. She does normal things. She socialises, stays in touch, via phone and email, she is very responsive and generally available to those who she trusts, by all accounts a loyal and often very generous friend. She could be forgiven at looking out at the Jordans, the Brangelinas, the Mariah Careys, Madonnas and Lady Ga Gas and shouting, ‘It’s not me that’s mad’. In one sense she has clearly been the victim of our distorted view of how celebrities should behave; her quiet normality has been turned into something grotesque, primarily due to a popular press that is unable and unwilling to cope with a woman who has consistently refused to play the PR game and which as a result ridicules, exaggerates and demeans her eccentricities. As a woman who has always fought to control every aspect of her art, it would be foolish to expect her to then cede control of her life. Fame can arrive so fast sometimes that reality never succeeds in catching up; she hasn’t allowed this to happen to her. Not only has she refused to permit the wide world access to her internal life, but she has also refused to construct an alternative version to sell publicly as part of fame’s Faustian pact. The decision has served her well, though many times it has made her seem prickly, defensive, controlling, humourless, frightened and paranoid, with an overdeveloped sense of persecution. When she appeared at the Q awards in 2001, emerging from a public absence of several years, she was booed by the waiting paparazzi outside the Park Lane Hotel because she didn’t linger to pose for shots. She was upset, interpreting it as representing some kind of deep, lingering hostility on the part of the public dating back to 1993, rather than a few disgruntled snappers venting pantomime spleen at her refusal to humour them for a moment or two. When she was featured on the BBC’s Queens Of British Pop series, broadcast in April 2009, she was the only living artist involved not to consent to a new interview. The participation of those close to her – Del Palmer, Jay – was only granted after Bush was allowed complete control over the contents of the broadcast. Sometimes it’s hard to tell what exactly it is she’s afraid of. It is fame, rather than her innate sense of privacy, that has been the great anomaly of her life. She survived the post-‘Wuthering Heights’ period of invasion, intrusion and immense self-consciousness, but it’s little wonder that she has spent the ensuing 30 years and more steadily backing away from that utterly unexpected entrance, gradually carving out more and more elbow room. Her career has been an incremental process of withdrawal from that first hot blast of exposure, shedding along the way producers, bands, musicians, studios, press, the expectation of live performance, even her own image. She has jettisoned all the unwanted accoutrements of a ‘pop’ career in order to maintain a connection – primarily mentally rather than physically, although she did build two studios in the barn at East Wickham Farm and record three albums there – with the emotional landscape in which she started: being left alone to work in a safe, secluded space, free to explore and expand the borders of her imagination, the clock on the wall ticking to her own stretched sense of time, the ones she loves around her, always there but not always right there. Her pursuit of this very authorly isolation, doggedly carved out from instant pop stardom and its attendant objectification and ceaseless questions; the constant demands to tour; to be here, there, anywhere and to produce more, more, more, is perhaps her greatest achievement. She simply couldn’t continue to do what she does without protecting it fiercely. “The more I got into presenting things to the world, the further it was taking me away from what I was, which was someone who just used to sit quietly at a piano and sing and play,” she said. With 50 Words For Snow, her music has returned to somewhere very close to that place. Her career has never been about fame or fortune. Everything has been concerned with keeping alive the initial, terribly fragile surge of wonder and possibility she first glimpsed as a young girl. Against fearsome odds, she has succeeded. She has almost come full circle: making beautiful, out-of-time music at her own speed, playing and singing in an old English building, surrounded by trees and grass and water. Still searching for clues under the ivy and under the snow. “It comes from a quiet place,” she said of her music. And the world is so loud. Perhaps that’s all we really need to know. Another extract from Steely Dan: Reelin’ In The Years, by Brian Sweet. Steely Dan’s live set at this point included certain songs – ‘Megashine City’, ‘Take My Money’ and ‘Hellbound Train’ – that had been written specifically as vehicles for David Palmer and which would never make it onto a Steely Dan studio album. Becker, Fagen and Katz especially did not want to be reminded of Palmer’s brief and inapt contribution to the band. Steely Dan were great musicians but they were far from the most photogenic band in the land. Fagen had a slight stoop, Becker’s long straight hair almost always looked in need of a trim and a vigorous shampoo, and their dress sense – or lack of it – in what was anyway a bizarre period fashionwise was risible. Critics were quick to lambast Steely Dan for their lack of “visual style”. After one of their early gigs at the Whisky A Go Go in Los Angeles, one reviewer referred to them as “the ugliest band in the world”. Of course, Becker and Fagen couldn’t care less: they were in rock’n’roll for the music, not the showbiz; they sought to emulate their jazz heroes, musicians who gave no thought whatsoever to what they wore on stage. Image was unimportant in jazz. “We were used to seeing a musician kicking over his bottle of beer,” said Becker, who would have been happy to turn his back to the audience for an entire set if he could get away with it. Another drawback with lead singer David Palmer was his propensity to wear very tight trousers, and each time he bent over or stretched he ran the risk of splitting them. At one gig at a small club in Philadelphia, Palmer had met with friends before the show and drunk more liquor than was wise. With Palmer in a stupor, Steely Dan took the stage, but the singer was way beyond recall. Not only did he sing the entire set a half-tone flat, but he also split his tight pants right up the middle. The stage was just three feet above the floor and those seated directly in front were given a close-up view of Palmer’s sweaty crotch. To make matters worse, he wasn’t wearing underwear. On another occasion at the Whisky in LA, Palmer’s split trousers were repaired with gaffer tape. The Philadelphia incident didn’t help David Palmer’s cause. Neither did another disastrous occasion when he missed his mouth and poured a can of beer over himself at an important press reception. Fagen was steeling himself to face the fact that he was going to have to be the lead singer, but he was reluctant to over indulge in pre-show intoxicants. David Palmer was a nice guy and everyone in the band liked him, but artistic considerations outweighed social niceties. In April of 1973, Palmer’s four-month reign as Steely Dan vocalist came to an end. Fagen was backed into a corner; there was now no denying that his voice was the sound of Steely Dan. Occasionally, only half seriously, they would discuss getting someone else in to do the job. One voice that Becker and Fagen liked was Elliot Lurie, the singer from Looking Glass, who had a US number one hit with ‘Brandy (You’re A Fine Girl)’ in 1972. Another vocalist Becker and Fagen thought would work well in Steely Dan was Gerry Rafferty, singer on Stealers Wheel’s 1973 hit, ‘Stuck In The Middle With You’. But Gary Katz had no such doubts about Fagen’s ability as a vocalist. At an open air gig in the Balboa Stadium in San Diego, when Steely Dan opened for Elton John before a crowd of 30,000, Katz stood alongside Warren Wallace, who commented how he loved to hear Fagen sing. “From the first time I heard Fagen sing, everything else in my life became secondary,” Katz told Wallace.